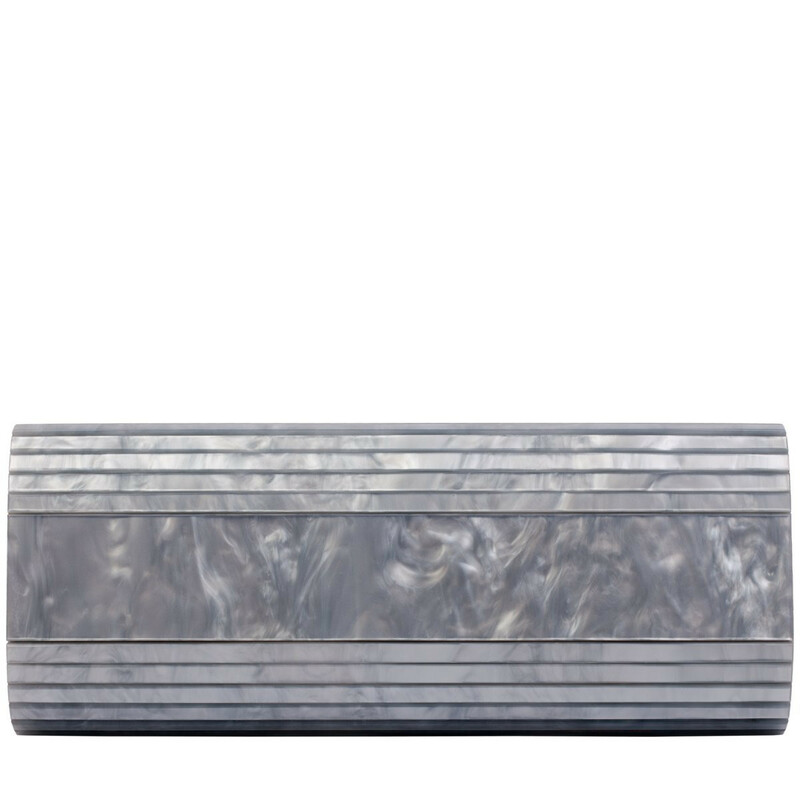 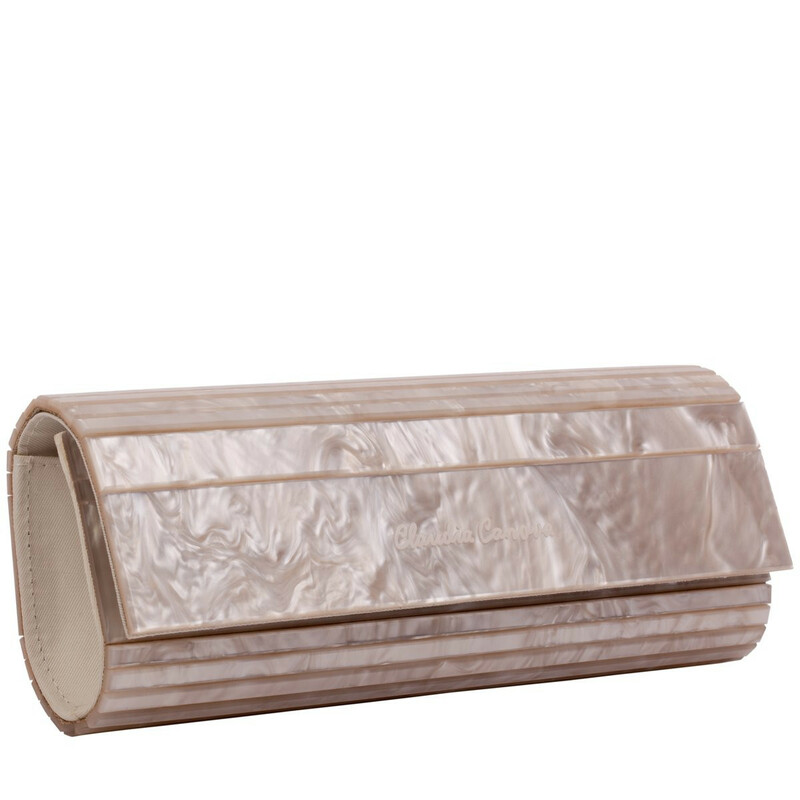 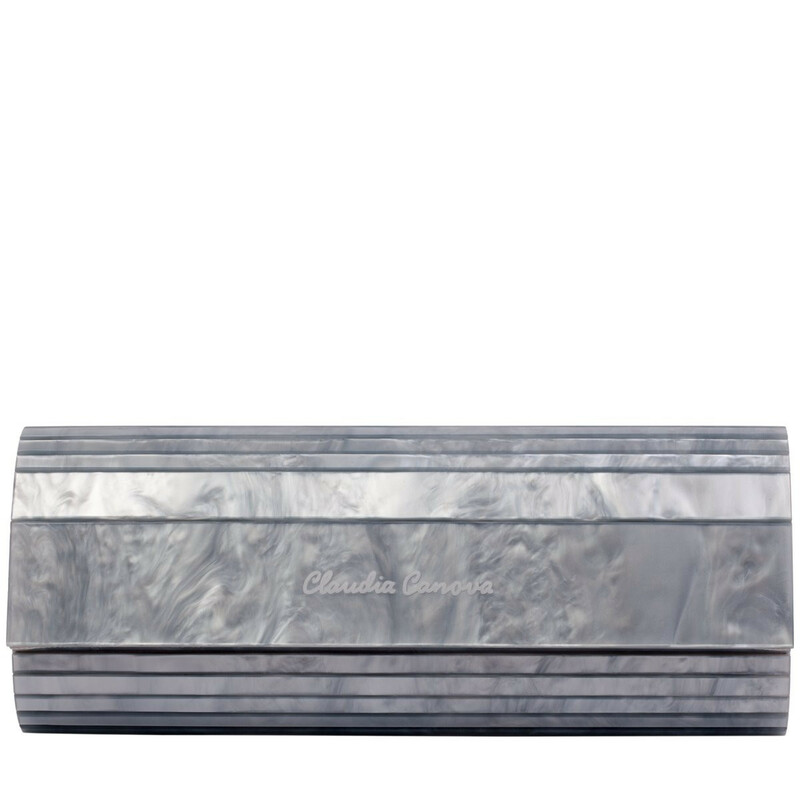 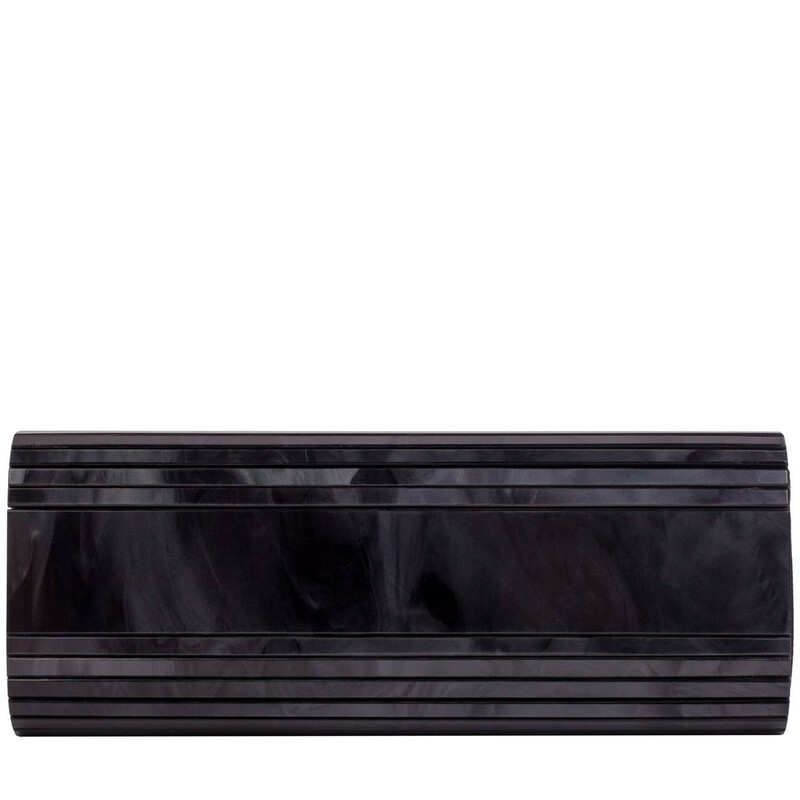 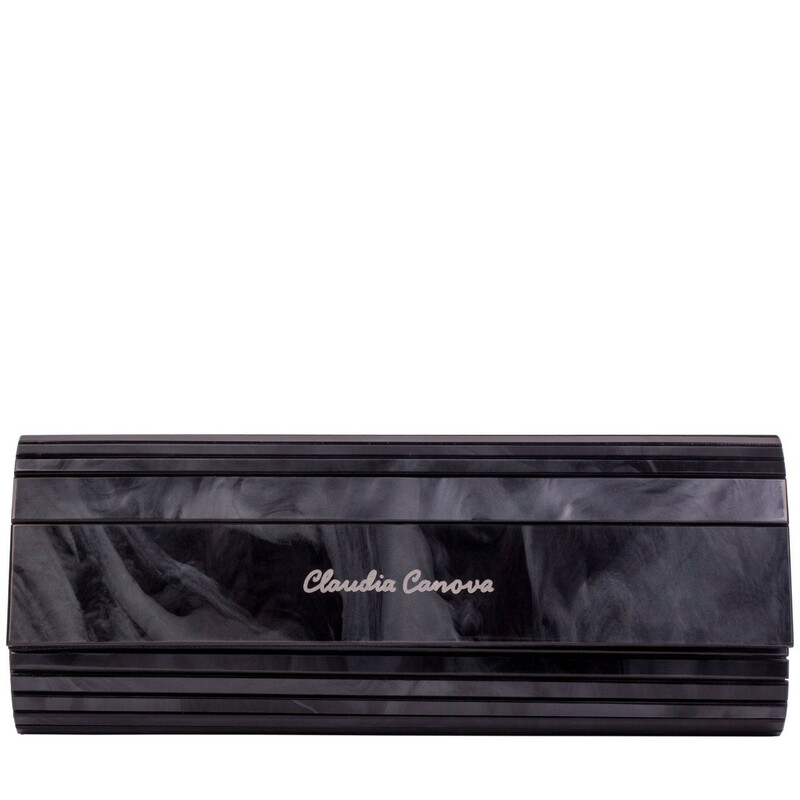 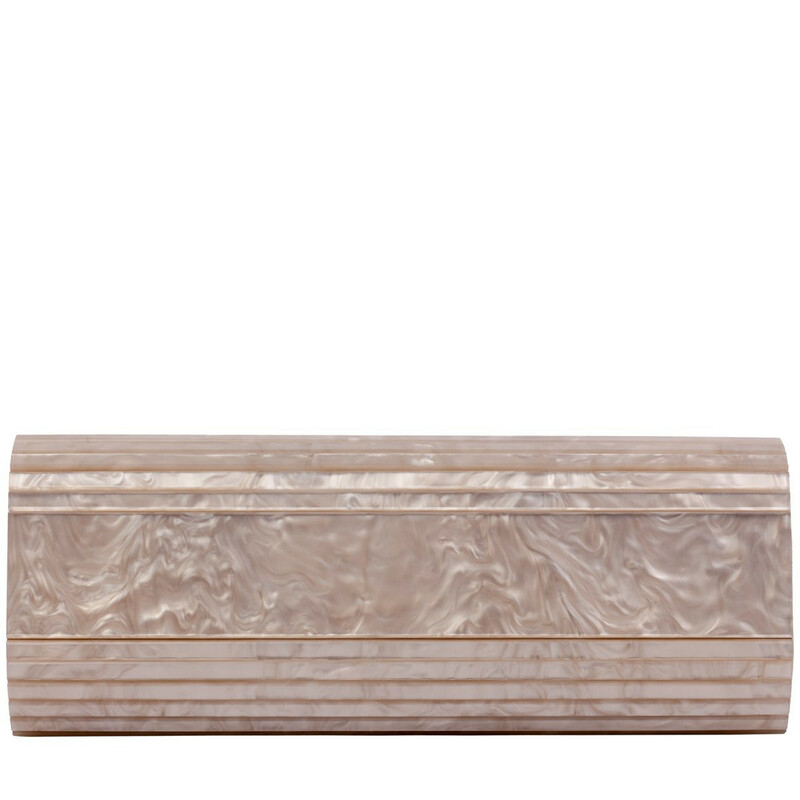 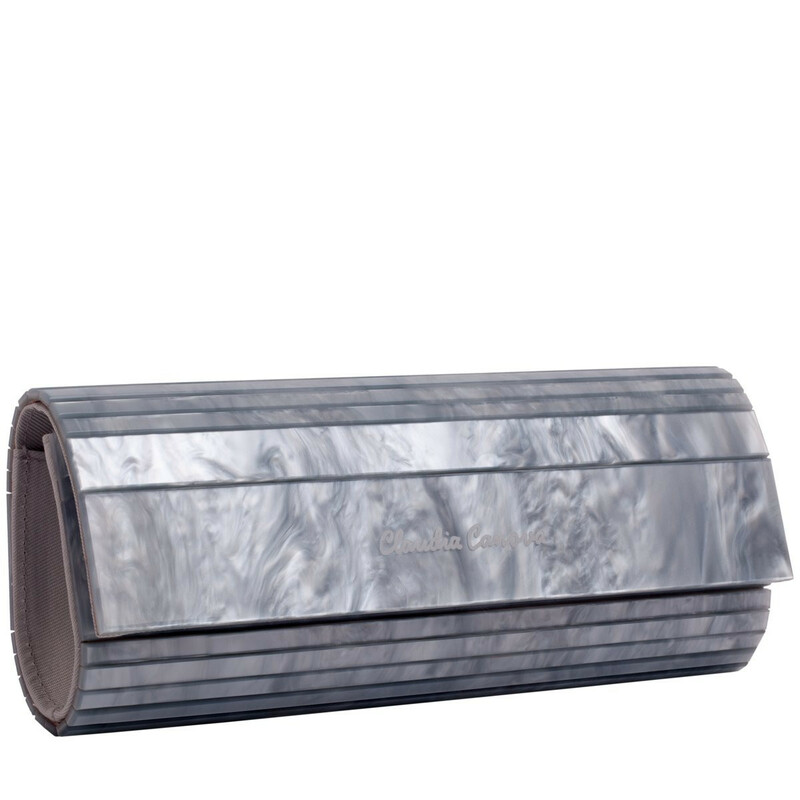 Get your bag game on point with the seriously stylish Dazzle pleat clutch. The unique hard based pearlised finish, mounted onto fabric, forms a long flap over clutch which will be sure to turn heads on the dance floor. Get the VIP feels with the branded script logo lasered on the front flap and hidden stud fastening to secure all your essentials. 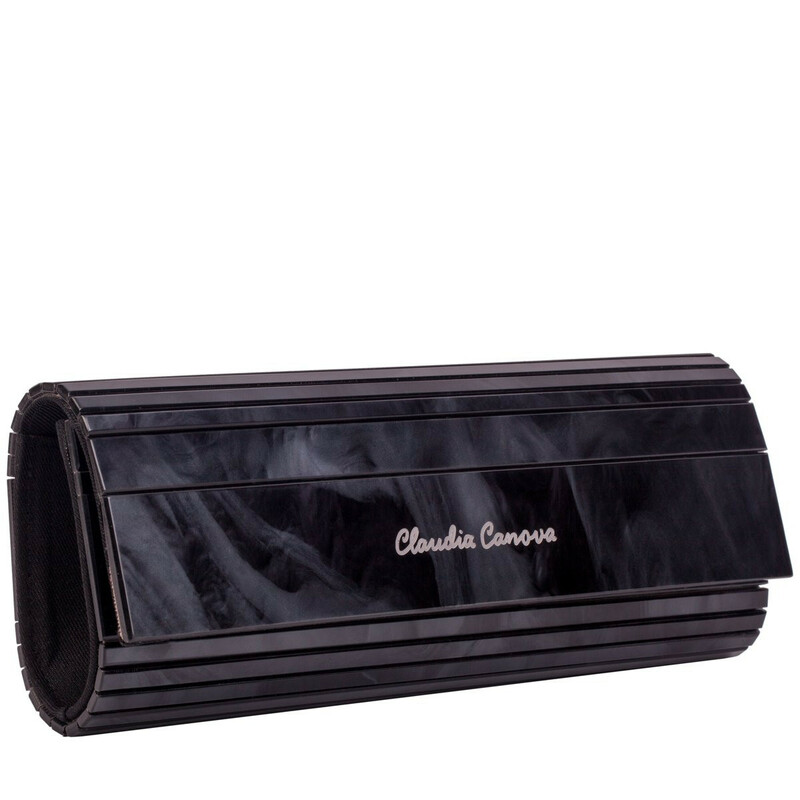 With additional detachable chain strap this bag still ticks the must haves of the perfect clutch whilst serving major high fashion vibes.